Added unit tests (if possible)? I created a ViewBoxPage for the control catalog and compared it with the same page in WPF. The results don't look quite right. Not quite sure what's causing the difference. Is this expected? 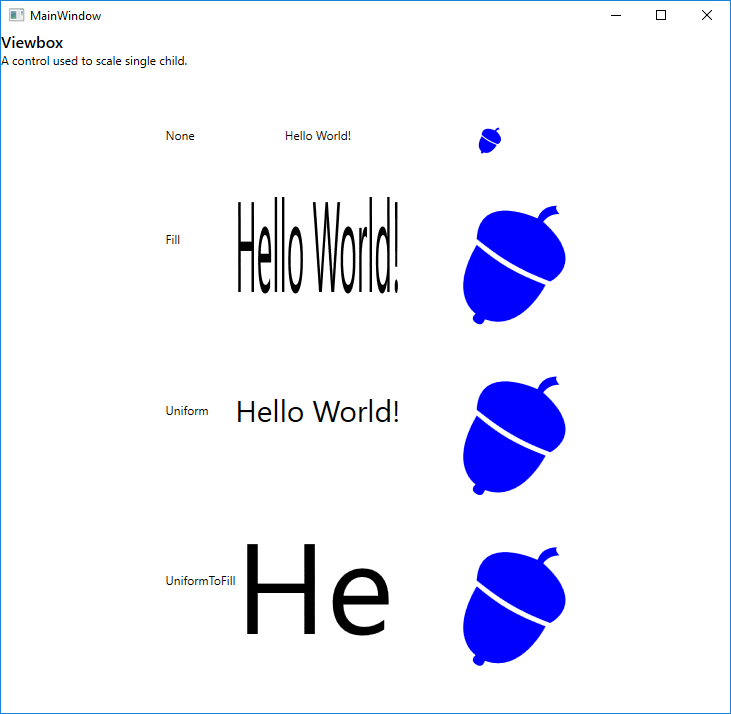 updated default of ClipToBounds to true (which i missed initially) to behave as wpf. 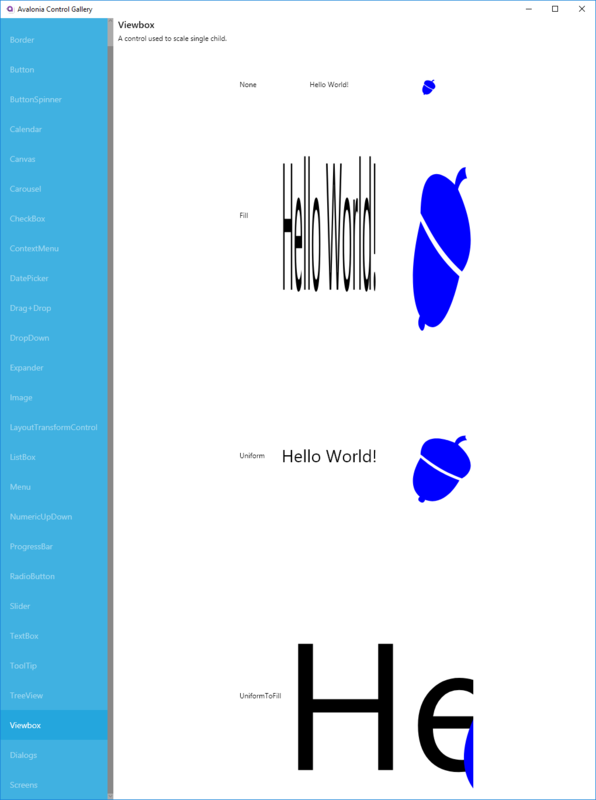 I think differences in wpf vs. avalonia are not caused by Viewbox itself. GridRowDefinitions with Auto height in a StackPanel definatelly is a complex scenario and could be misleading. Yeah, I was wondering if the problem might be with Grid. Might be worth investigating this separately... Also could you add the ViewboxPage to ControlCatalog? Or I can add it if you'd prefer. Pages should be alphabetically ordered. LGTM! Just pushed a quick fix to alphabetically order the pages in ControlCatalog, hope that's OK!